This blogging is a dangerous activity, yes it brings you in touch with like minded people, you make friends, you connect offline, but it also means that you can get quite obsessed with making / cooking what someone else is eating because you are bombarded with pictures or descriptions! 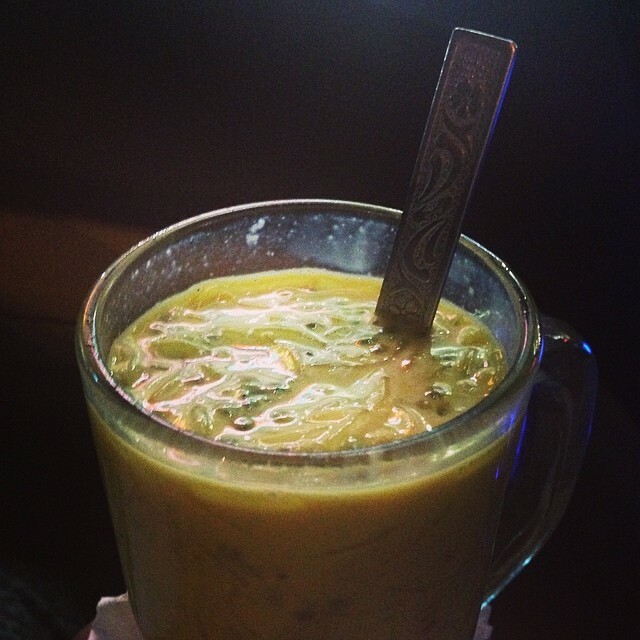 R of Hungry and Excited blog, was talking nonstop for a couple of days about replacing her meals with Falooda that she made at home to combat the heat and I was insanely jealous. I usually make falooda at home. We love having it to beat the hot summers here in Hyderabad. 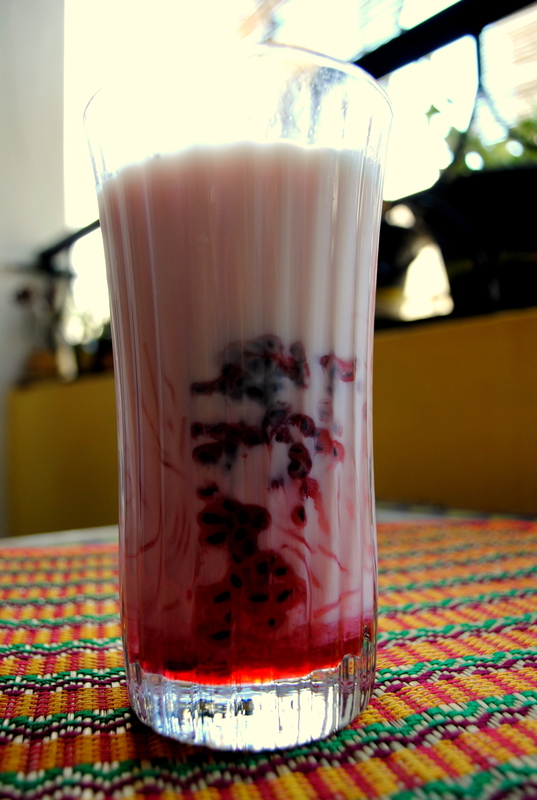 There are also a lot of popular places where one can have falooda that people flock to. But it was past 10:30 PM and I didn’t have ice cream on hand so I made K drive me to the nearest place and slurped more than sipped this sickeningly sweet but yummy drink/ dessert. Falooda is by no means a low calorie indulgence. It is sugar laden and very filling. No wonder R was replacing her meals with it. Instead of rose syrup any other syrup like khus / pista or kesar syrup can be used. OMG what have you done? Now I will have to make it from scratch, of course. Because, you know. Blog friends are evil. They make you do these things. Except I hate means hate Rooh Afza.. Maybe strawberry crush, instead? This readymade stuff I had was strawberry flavoured and it was fantastic! There are too many in town to list down, here are the ones I have had falooda at: Agrawala sweets next to Ratnadeep at kothaguda, The stall outside Kakes and Krisps at kothaguda signal, any of the chaat and sandwich joints at Sindhi colony secunderabad, most of the road side vendors at charminar, shah ali banda and paradise outlets across the city.